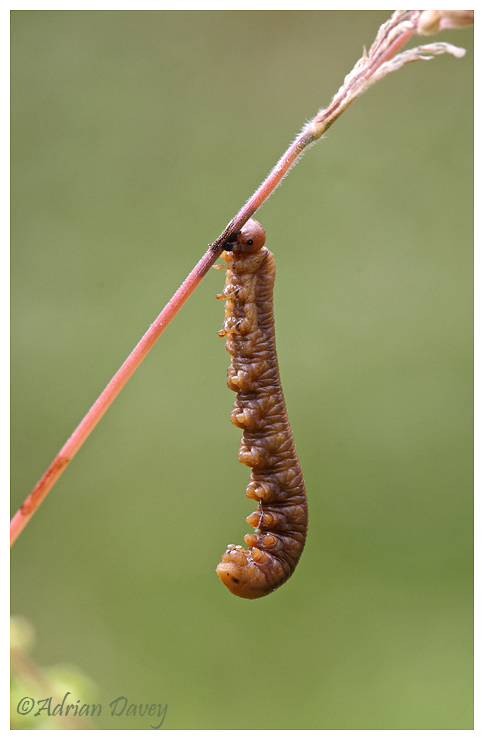 Adrian Davey Bird & Wildlife Photography: Larva of Saw Fly (probably). Larva of Saw Fly (probably). Dunsland NR, Devon, August 2017. Unsure of the species but liked the way it looked as if it was hanging in mid air.